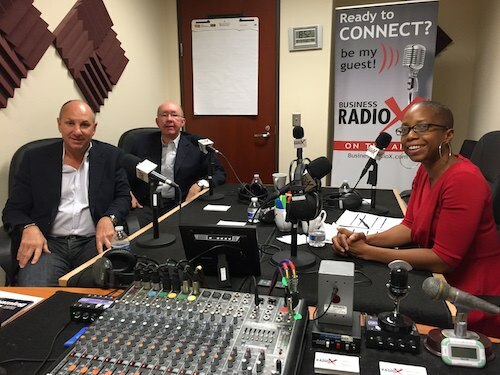 ATLANTA, GA--(Marketwired - December 09, 2015) - On December 1, 2015, CEO Exclusive Radio welcomed to the studio Henry Rischitelli with Next Marketing and Hugh Massie with DNA Behavior International. Host Soyini Coke led these guests in a discussion about their respective companies and their contributions to the Atlanta business community. Henry Rischitelli is the President and CEO of Next Marketing, which he founded in 1993 with a vision to provide specialized marketing services to the rapidly increasing motorsports industry. Next Marketing is committed to excellence in B2B, B2E and B2C marketing across a variety of live and digital media platforms. The company provides measurable, goal-achieving results through innovative, exciting and interactive customer experiences, including multi-sensory exhibits that drive clients' business growth, build customer relationships and promote consumer brand awareness. Rischitelli is involved with all facets of the agency's business operations while focusing on building long-term partnerships with agency clients. His energy and passion for business carry over to his community support, including the Atlanta chapter of the Entrepreneur's Organization (EO), a global, non-profit association of business owners, where he serves on the chapter Board and is the incoming chapter president. Joining in the conversation was Hugh Massie, President and Founder of DNA Behavior International, and the current President of EO Atlanta. He is a Behavioral Finance Strategist, successful entrepreneur and leader with 30 years of unique and diverse international experiences. DNA Behavior International is a people analytics firm. They provide organizations worldwide with a single technology platform which delivers practical and scalable behavioral intelligence solutions to "Know, Engage and Grow" every employee and client online for the building of a client-centered business. In particular, Massie focuses his attention in the areas of client engagement, behavioral finance and team productivity. 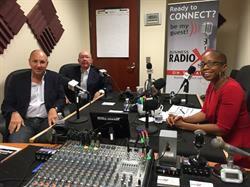 After sharing studio time together, both Rischitelli and Massie remarked on their experiences as guests on CEO Exclusive. "The show had great energy, was fun and very professional. The two executives format created collaboration and a great flow of ideas," said Rischitelli. "The CEO Exclusive Radio show was very well facilitated," added Massie. "The key to such a powerful experience was having two different CEOs participating together. This can only lead to more dynamic and rich insights for the listeners as different perspectives are drawn out." To hear the full conversation and learn more about Next Marketing and DNA Behavior International, listen to this episode of CEO Exclusive Radio. CEO Exclusive Radio: Emerging Trends from CEOs and their most Trusted Advisors brings insights to CEOs that they need to stay current and run their businesses. Every show features an expert who serves as an advisor to CEOs while running their own business. For CEOs by CEOs. The show airs Tuesday mornings at 8AM Eastern and is hosted by Soyini Coke, the Founder and Managing Principal at Annona Enterprises. For media inquiries, to requests to appear on CEO Exclusive, contact angi@ceoexclusiveradio.com.